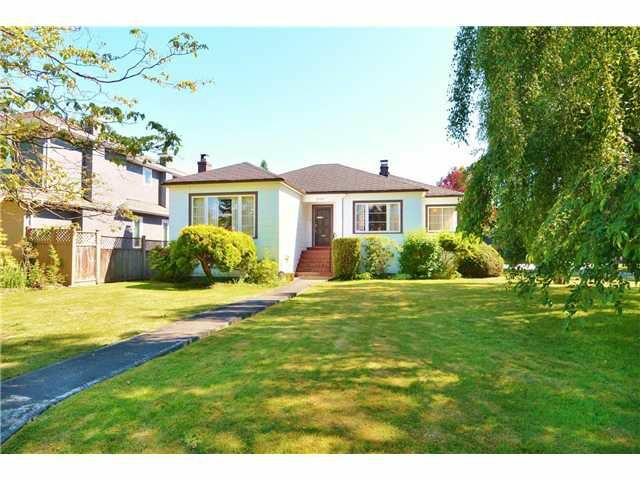 Beautiful well-kept and bright character home sits on large (59.9x122/105/IRR) 7,212 sqft lot situated in Arbutus area! This elegant 2 level home with over 2,500 sqft spacious living. Huge living room and dining room on main with beautiful pristine hardwood flooring. Total of 3 bedrooms and 2 bathrooms. Basement with an oversize recreation room and workshop. Professionally landscaped south facing backyard. Close to Choices grocery shopping on 16th Ave, park & transit. Trafalgar Elementary & Prince of Whales Secondary catchments and 10 minutes to UBC. Listed by Royal Pacific Realty Corp.